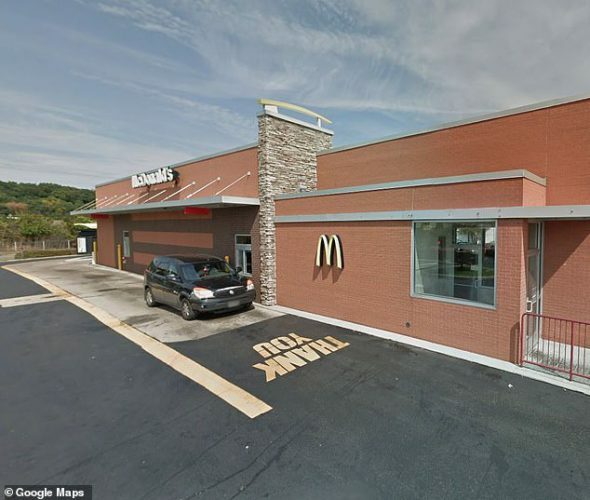 McDonald’s has been around since what feels like forever. 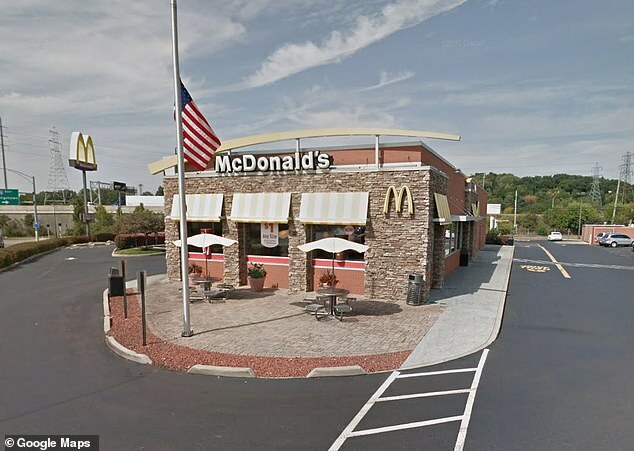 It has been serving inexpensive, fast food all across the world and has been one of the most widely recognized brand names ever since it opened. While McDonald’s serves a wonderful purpose, it also isn’t exactly known for its high standards and high-quality ingredients. But it has never been accused of something quite as grotesque as it did this past December in Akron, Ohio. Kenneth Moyer Jr. (43) drove his friend home on one ordinary December day, but before they got too far, they decided to pay a little trip to McDonald’s. Two chocolate milkshakes later, they were on the road again. Moyer kept slurping down his shake as he drove, but for some reason, the straw kept getting blocked. He didn’t think much of it. He just moved it around and tried a little harder. After dropping his friend off, Moyer continued home. He parked out front and left the remaining quarter of his milkshake in the cupholder of his truck. A short while after, Moyer realized that he’d forgotten his cigarettes in his truck, so he went back out to fetch them. You’ll never believe what he found. The straw was moving inside of the plastic McDonalds cup! 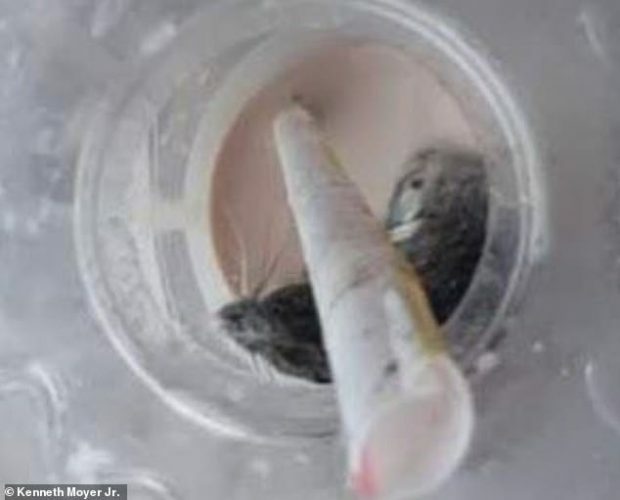 When he picked up the cup and removed the lid, he watched as a live mouse swam inside of his chocolate shake. Talk about an unhappy meal, am I right? Moyer grew ill and began throwing up immediately. His sickness lasted for a good majority of the day. He snapped a picture of the rodent in his cup because this wouldn’t be the end of his dealings with the disgusting chain restaurant. At about 11:30 PM, ten hours after the mouse was discovered, Moyer returned to the restaurant and explained the situation rather loudly. But the manager didn’t believe him. He claimed Moyer put the mouse there himself. 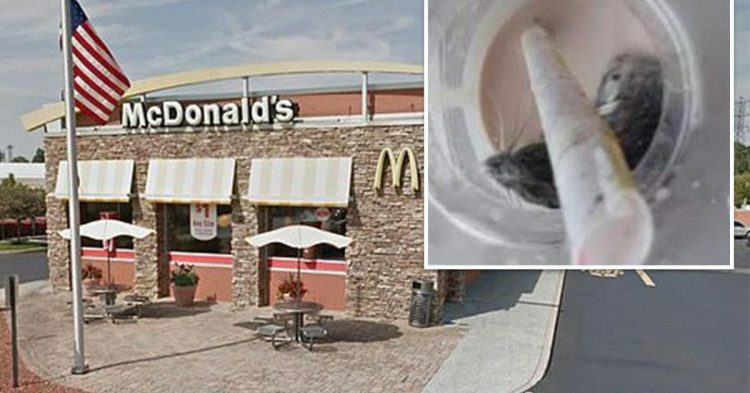 Moyer asked if the mouse could have snuck in through the hole in the ice cream machine, but the manager assured him that was impossible. Either way though, Moyer’s claim was denied by McDonald’s. Moyer and his lawyer are currently awaiting surveillance footage from the McDonalds to help support their claim. If they can prove that the mouse did, in fact, come from their restaurant, then Moyer could be granted $100,000 in damages. While that might sound worth it, remember that Moyer drank 3/4s of a mouse milkshake. What is the grossest thing you’ve seen at a fast food chain?